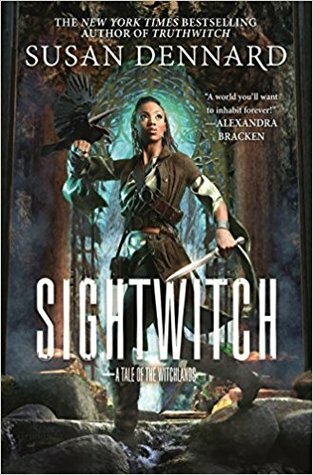 As someone who has never found their way into Urban Fantasy, I am more than delighted to see the different directions this sub-genre is going. Rebecca Roanhorse’s Trail of Lightning set familiar story tropes in a new and original setting, and this book here – while set in an alternate Edwardian England – also puts its own and rather wonderful spin on it. Go, Urban Fantasy! You may turn me into a fan just yet. First sentence: The memo stank of barrel-printing ink and bad news. Doctor Miles Singer is in hiding. He works at a veterans’ hospital, trying to help his suffering patients as best he can and without the use of the magic he secretly possesses. When a dying man arrives at the hospital and knows about Miles’ magic as well as the cause of his own death (poison, he says), things get a little out of control. Together with the enigmatic Tristan Hunter, who brought the poisoned man to the hospital, Miles has to set out and figure out the mystery of this murder. But that also means he has to go out into the world, confront his estranged family, and discover secrets that range far wider than he would have thought. Discovering the world of Witchmark was fun from the very beginning. The author doesn’t present everything on a silver plate but rather lets you figure everything out for yourself from context, from dialogue and description, from the way the characters act. This may not be everyone’s cup of tea but I love it when authors trust their readers to put things together for themselves. While set in an alternate Edwardian England, there are things that immediately stand out as fantastical, first among them the fact that there is magic. We learn early on that Miles possesses a magical gift and that he can use it to heal people. But it is only later that we find out how Miles fits into the larger world of magic and why he ran away from his family and his duties. The plot starts out as a murder mystery and sticks to the tropes most of the time. Tristan and Miles investagate places and interview people, you know the deal. It could have been boring but with added bicycle chases and a wonderfully engaging sub-plot about Miles and his family, the book was exciting all the way. There are also two rather important plot twists, one of which I kind of saw coming (although not its details), the other of which made me gasp out loud. The only thing I didn’t really buy was the romance. I really liked where things where going but I felt there wasn’t enough there to base a relationship on. We should have seen more conversations, more moments between the two characters to understand why they fell for each other. Polk also created some wonderful characters, not just in Miles and Tristan (who has his own secrets which I will not spill but you should totally read the book because it’s super cool), but also in Miles’ sister Grace. She is one of those characters that you think you’ve figured out from the first meeting but then she shows unknown depths. Her relationship with Miles is a very, very difficult one because of the way this society works and the way it deals with mages. Without spoilers, it’s impossible to talk about details, but rest assured that there is more to Grace than meets the eye and that she truly does love her brother. What made the book work for me was mostly Miles as a character and finding out why he ran away to fight in the war rather than stay with his wealthy, respected family. He is yearning for freedom, for agency, for a place of his own even if it is tiny and he could afford something much larger and better. Understanding why he chooses a life that at first appears so much worse than what he could have had, was a lot of fun to discover and made both Miles and the world he lives in more interesting. There are also plenty of things that I want to explore more so I’m more than happy that this is the first book of a series. Overall, I really enjoyed this read. It was charming and original, it sets up many things that will have repercussions in the sequel, and it made me really like the characters. While maybe not award-worthy (it’s nominated for a Nebula), this was a fun read that got better as it went along. I enjoyed this one – charming is spot on. I’m really glad you enjoyed this one, I thoroughly loved it. It’s definitely charming! I can’t wait for this one! I got it as part of Tor’s free offerings one month and have been dying to read it.